The county Board of Supervisors Tuesday voted 3-1 to file a court brief siding with the Trump Administration in its lawsuit against California’s so-called sanctuary state law. With the vote, San Diego County became California’s most populous county to rebuke state policies aimed at protecting immigrants from deportation. The sanctuary state law, Senate Bill 54, limits cooperation between local law enforcement and federal immigration authorities. It’s intent is to encourage immigrants to report crimes and work with police without fear of deportation. San Diego County’s approach differs from that of the Orange County supervisors, who voted last month to join the suit. Instead, the San Diego County attorney will draft an amicus brief in support of the case, which will allow officials to offer their opinion without actually becoming involved in the courtroom fight. However, the deadline to file such a brief has passed, meaning the earliest opportunity San Diego County will have to weigh in on the case will be if and when a decision in this case is appealed by the losing party to a higher court. Supervisor Dianne Jacob, who has been a vocal opponent of the law, said she has seen a lot of changes along the 50-mile span of the U.S.-Mexico border in her district since she took office in the 1990s. However, she later clarified “she was told” of at least one person on a terrorist watch list crossing into the U.S. illegally, but was unable to provide details of the case and did not specify who provided her with that information. Cox said he voted no because he believed the problem lies in Washington. Under SB 54, state and local law enforcement are allowed to share with immigration authorities information about a person who has been charged with one of 800 crimes, including violent felonies, arson, domestic abuse and other felonies. As evidence of the support among San Diegans for joining the lawsuit, Gaspar showed reporters the correspondence the supervisors received on the matter. Letters in favor of the county siding with the federal government towered over those written by those who supported sanctuary policies, she said. But during Tuesday’s public meeting, sanctuary state advocates greatly outnumbered supporters of the lawsuit: 17 registered their support of President Donald Trump’s administration and 62 were against it, according to Gaspar. Other supporters of the sanctuary law said it offers protections for immigrant families and helps keep the economy strong by recognizing the contributions of non-citizens, including their payment of taxes and their labor. 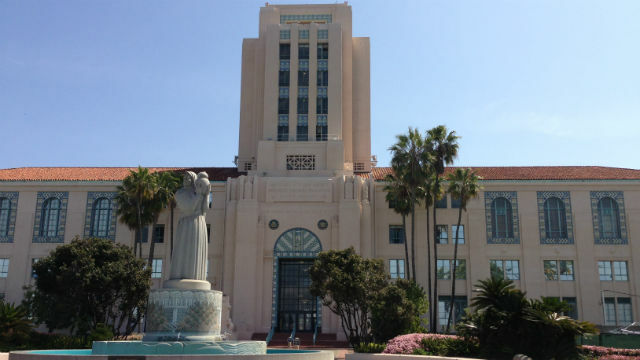 “Rather than tackling urgent local problems facing San Diego County like homelessness or providing mental health services, the board chose to engage in political posturing that serves no practical purpose other than to divide our community,” he said. The threat of deportation causes negative mental health effects on immigrants and their families, said Janet Farrell of the San Diego Psychological Association. Local governments in recent weeks have taken varying approaches to weighing in on the sanctuary state issue, from adopting resolutions to voting to file lawsuits themselves. The Los Alamitos City Council voted on Monday night to “exempt” the city from the sanctuary law. National attention turned to San Diego County as its leaders considered weighing in on the lawsuit. “In standing up against the irresponsible actions by the State of California, our county supervisors who supported this action clearly demonstrated that their priorities are protecting those of us in San Diego County and not about politics,” he said. The decision is likely to be a defining moment in the political career of Gaspar, who is running in a closely watched congressional race in a district that Democrat Hillary Clinton carried in the 2016 presidential election with just over 50 percent of the vote. The Republican incumbent in the 49th District, Rep. Darrell Issa of Vista, is not seeking reelection. 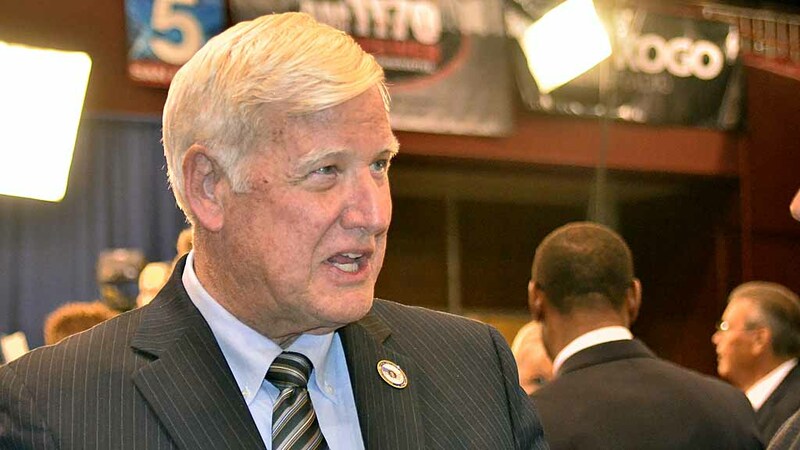 In 2016, he narrowly defeated Democrat Doug Applegate, who is among the candidates facing off against Gaspar in the June primary. Eric Wood of the San Diego East County Chamber of Commerce said the laws put business owners in an uncomfortable position due to the tension between federal law and state law. “Law enforcement should be able to work together — not in opposition to each other as this law dictates,” he said.